Medicated Follower of Fashion: Trendy Thursday - rocking it! Ethan was totally rocking it this weekend. 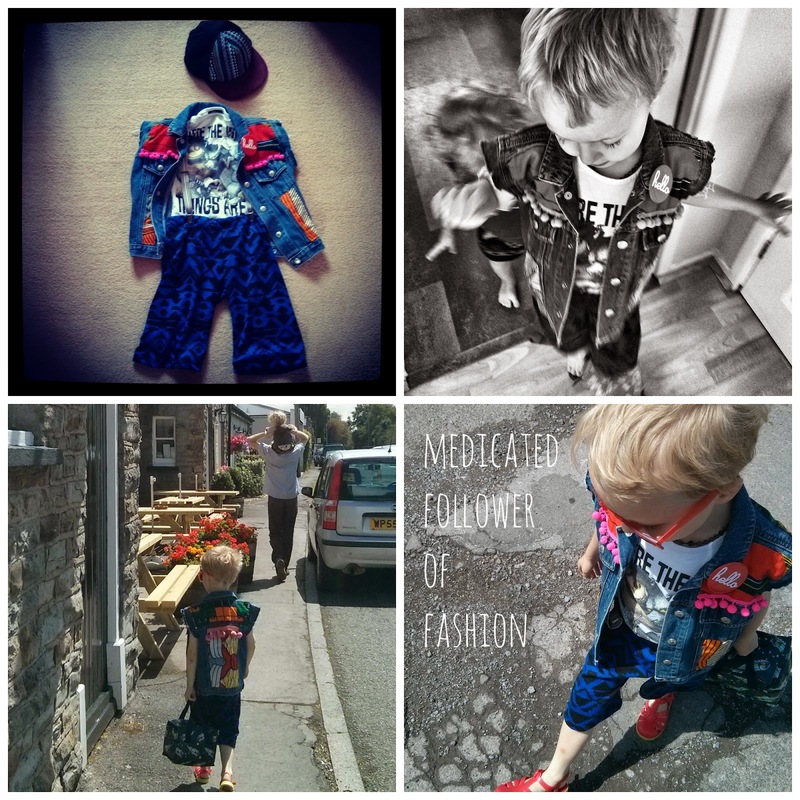 I've been dying for the opportunity for him to wear the amazing upcycled jacket from Mini Magpie. As it wasn't quite so warm I thought last Saturday was the right time. Paired with the charity shop bargain Where The Wild Things Are tee and some shorts from Shop Haute. Thoughts? I think he looked amazing! He loved it too which is really important. I don't want him to be uncomfortable. I tried to get Felix to wear a hat this week - he's still at that stage where he whips them off almost as soon as you get it on him. I'm sure he'll get used to them at some point - Ethan did. 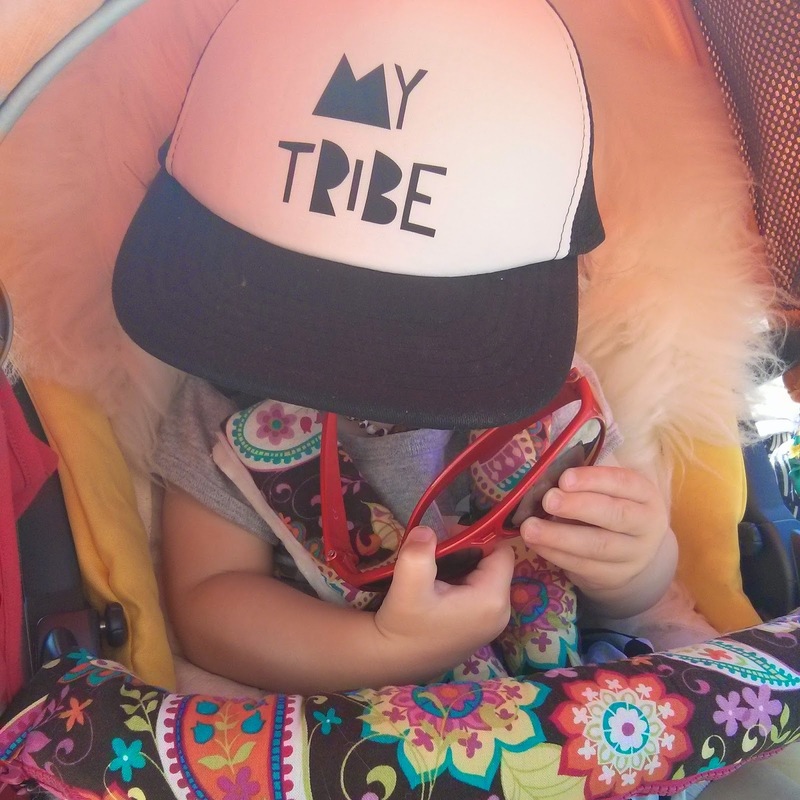 His My Tribe trucker cap from Marmalade Sky looked super cool! Now it's over to you guys! Have your little trendsetters been looking extra cool this week? Link up below! Oh I do like it! Glad he likes it too but what a difference from last weeks outfit! Funky waistcoat. I always think too much detail must get annoying but Ethan obviously doesn't have any issues. He definitely looks like a rock dude.